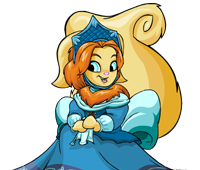 Neopets - Which Petpet are you? 2. Say it's your last day in Neopia ever... what do you do? 3. Pick an item. Any item. 4. When you read the Neopian Times, which section do you click on first? 5. Who would you pick first to be on your team? 6. If you were going to start a guild, where would you put it? 7. If a war were to break out in Neopia, which would you be? 8. How often do you visit the Grooming Parlour? Are you kidding? I practically LIVE there! I go there often; looking this good is HARD work! I visit once or twice a week, whether I need it or not. I'll swing by on Half-Price Day, in case there's any bargains. Erm, what's the Grooming Parlour? 9. If you could be the star of any game, what game would it be? 10. If you could see any band at the Tyrannian Concert Hall, who would you see?